Bollywood actor Anupam Kher said he has been denied of visa by Pakistan. The actor and comedian was to attend the Karachi Literature Festival starting from February 5. Kher on the denial expressed disappointment and said that out of 18 participants 17 have been granted visa but he was denied. The actor said, “We welcome their artistes in India. If there are objections to their performance at one place in India they are welcome at other places. But there is no reciprocity”. Kher while commenting on the issue added, “I wish I knew. I am wondering if it is because I am a Kashmiri Pandit or because of my views on the tolerance debate in India.” On the other hand the authorities at the Pakistan High Commission have denied the claims and said that they have received an application from the actor. 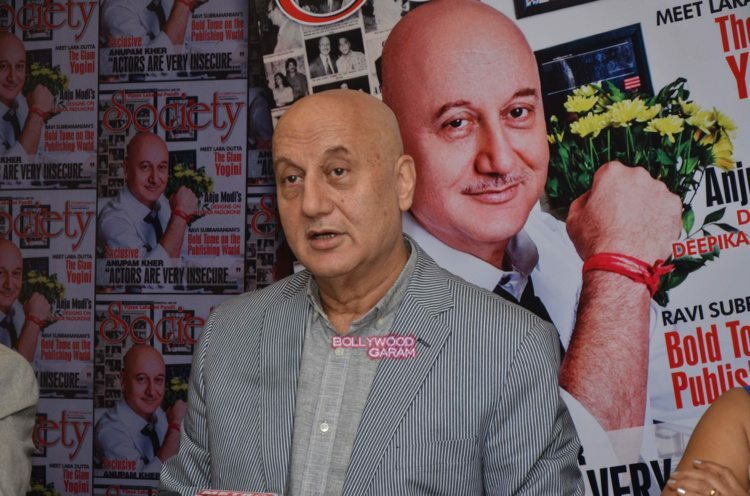 Few days back there was an argument over the article 370 when Kher said that 82 percent of people think that the article must be abolished in Jammu and Kashmir. Moreover, activists of Shiv Sena demanded the cancellation of the Pakistani ghazal Maestro Ghulam Ali’s concerts which were to be held between January 15 and 17, 2016. The activists had threatened that they would observe those days as protests days and hold demonstrations at different places.